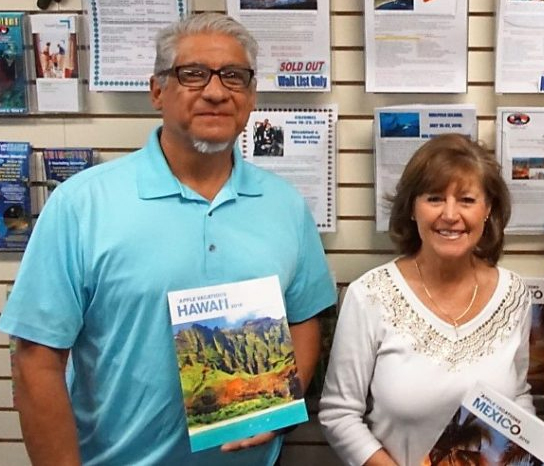 Cruise vacations are easy to plan when you work with our cruise experts at A-1 Scuba and Travel Center. Every Cruise experience is different so our cruise experts can help guide you to plan the perfect cruising experience! Cruise ships vary greatly in size from small and intimate to incredibly large floating cities. Cruise atmosphere can be casual or formal. We’ll help yor find the perfect cruise that meets your every need! Call one of our knowledgeable Travel Agents at 303-789-2450 or 800-783-SCUBA for a custom cruise package to any destination. Temperatures are at their warmest (high 50’s-70′) plus the further into the summer the better the chance to see wildlife on excursions. Demand is strong so need to book months in advance. Smaller crowds and cheaper prices. Weather is cooler(high 50’s-60’s). Summer in Australia so temperate conditions in ports of call. It is also Typhoon season so some ports may be missed. Aussies are also vacating during this time so crowded. Less crowded and better prices. Water temperatures are ideal for water sports. Wide selection of cruise ships. October is the rainiest month. Hurricane season is between August and October. May is the best time to travel for low season. School holidays are a great time to sail with kids- children’s programs are in full swing. Ships are at full capacity so need to book early. Smaller crowds and better prices. Hurricane Season(June-November) can pose a threat. The winter months are the most popular times to visit Hawaii but is not necessarily the best time weather wise. Rainiest weather is between December and March. Summer is also popular time to cruise Hawaii because it is family season. Great weather and less crowded ships on late-spring sailings. September has hot, humid weather. Window between Thanksgiving and Christmas vacation offer good deals. Nice cultural mix of passengers and plenty of onboard, kid-friendly activities. September is an increasingly popular time to cruise because you avoid school kids and still enjoy warm temperatures. More competitive fares and fewer crowds in port. Weather is often mild. Weather is dry, with temperatures in the 70’s-80’s. February and March are prime whale-watching months. More adult oriented atmosphere. Weather can be unpredictable, ranging from hot and humid to chilly. Temperatures are balmy, and skies are sunny. High season occurs during the winter months. Weather is more favorable, rains less frequently. South Pacific’s summer and wettest time of the year. March and April tend to get less rain. Our A-1 travel experts await your call.